On this day in 1972, one Australian student of Hungarian descent named Laszlo Toth attacked the Pietà statue with his hammer, striking it as many as 15 times. Pietà is today housed on the same location in the St. Peter's Basilica, but is protected by unbreakable acrylic glass. On this day, one of the most famous statues in the world – Michelangelo’s Pieta – was badly damaged in a vandalistic hammer attack. 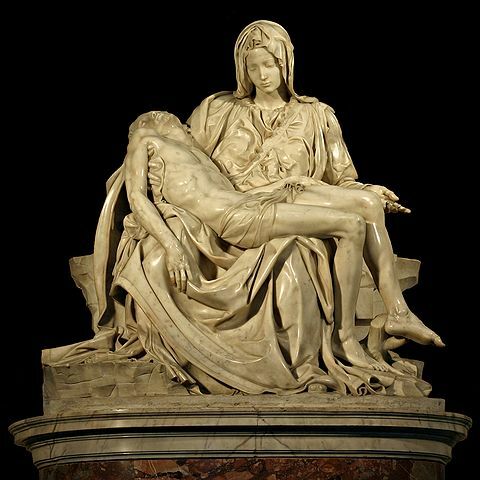 Michelangelo made Pietà in his youth, and it is the only statue he ever signed in his life. 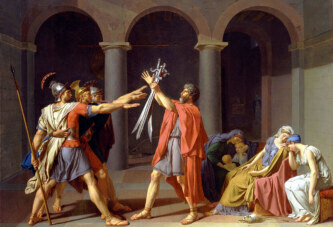 Supposedly Michelangelo vowed never to sign any of his work again. And indeed, he did not. Pietà is located in St. Peter’s Basilica, not far from the entrance. On this day in 1972, one Australian student of Hungarian descent named Laszlo Toth attacked the Pietà with his hammer. He shouted, “I am Jesus Christ – risen from the dead.” and struck the sculpture as many as 15 times. He broke off Mary’s arm below the elbow, part of her nose and parts of the eyelids. Bits of Carrara marble, from which the statue was made, flew off and some ended up in the hands of the onlookers. Finally, the surrounding people subdued the vandal. There were no charges against him due to his apparent insanity. He was committed to an Italian psychiatric hospital, from where he was released after two years and deported to Australia. He was not persecuted in Australia either and he died there in 2012. Some fragments of marble, taken by the observers, were returned, but some pieces were never recovered, like Mary’s nose. It had to be reconstructed from pieces of marble taken from her back. Pietà is today housed on the same location in the St. Peter’s Basilica, but is protected by unbreakable acrylic glass.